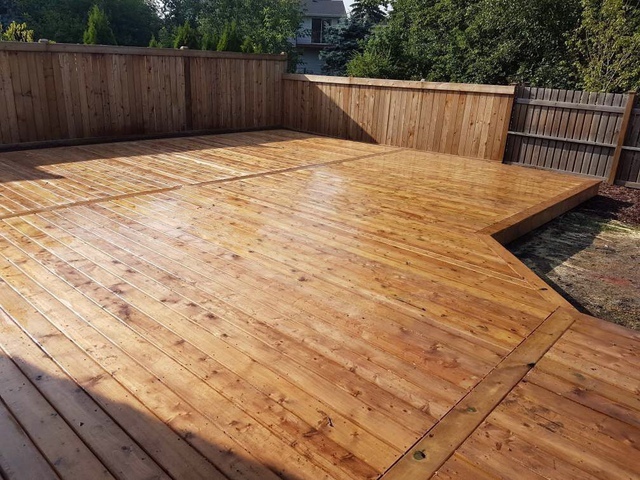 Brown pressure treated wood deck. The crew was very dedicated to long hours, precise and perfectionate detail. Customer service was phenomenal. Very respectable and approachable. After final review they noticed some of the boards needed to be replaced and returned promptly to fix them. Highly recommend Sustain Developments! 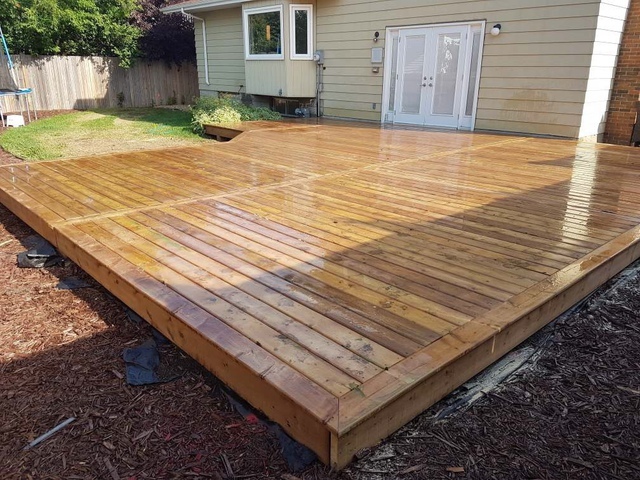 Thank you Heather, the guys raved about working on your project and had a blast helping transform your backyard.